Launched two years ago, Kharis Capital has already made a name for itself as a savvy deal-maker working with family offices to target consumer businesses. Based in Brussels, with offices in Luxembourg and Zug in Switzerland, Kharis was set up by two seasoned family office and direct investment specialists, Daniel Grossmann and Manuel Roumain. Grossman was head of direct investments for Verlinvest, the family investment group for the Spoelberch and de Mévius families, who are linked to the world’s biggest brewery group, InBev. Roumain worked as chief investment officer for the Edmond J. Safra Foundation. He is also a managing partner for le Club B, a family-office membership group. And Kharis is backed by some prominent family groups including the Edmond Safra Philanthropic Foundation, which helps to look after investments of the late Edmund Safra, the billionaire banker who died in 1999, and his widow, Lily Safra. Understandably, Kharis won’t disclose the names of the other families it is working with, but they are among some of the wealthiest people in Europe and the Americas. 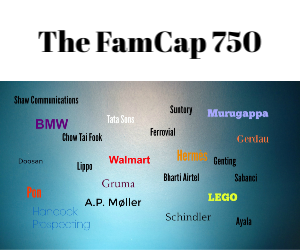 It also says it has relationships with more than 70 family offices. Soon after being set up, Kharis showed it meant business and along with its co-investors, the group bought the franchises for Burger King in Poland, Italy, Greece, and Romania, which represented more than 130 restaurant outlets. Kharis has since gone on to acquire the Quick chain of hamburger restaurants in Belgium and Luxembourg. And these restaurants are being converted into Burger King outlets. “This means we effectively run a multi-country, multi-brand, and multi-channel business, which requires complex operational management,” says Mekouar. Kharis recently hired Alessandro Preda, the former CEO of Autogrill, the Italian catering group, which is partly owned by the Benetton family, to help run the Burger King franchises in south-east Europe. Kharis business model is designed to avoid the pitfalls of “club deals” through its cornerstone family investors. “Our investors work more closely with our leadership and subscribe to a significant portion of the required equity for each transaction,” says Mekouar. Investors are considered as shareholders, not limited partners in the traditional private equity-type arrangement. Kharis and its investors are also looking to hold these businesses for the long term.